We want our cuddly pooch to be free of all odds including fleas and ticks and gain 100% health to live a happy life with us. Dog collars are mainly used for identification, control, and fashion. But, Seresto Dog collars have the fine fusion of safe materials that enable the low dose release of various active dog-friendly ingredients over 8 months. 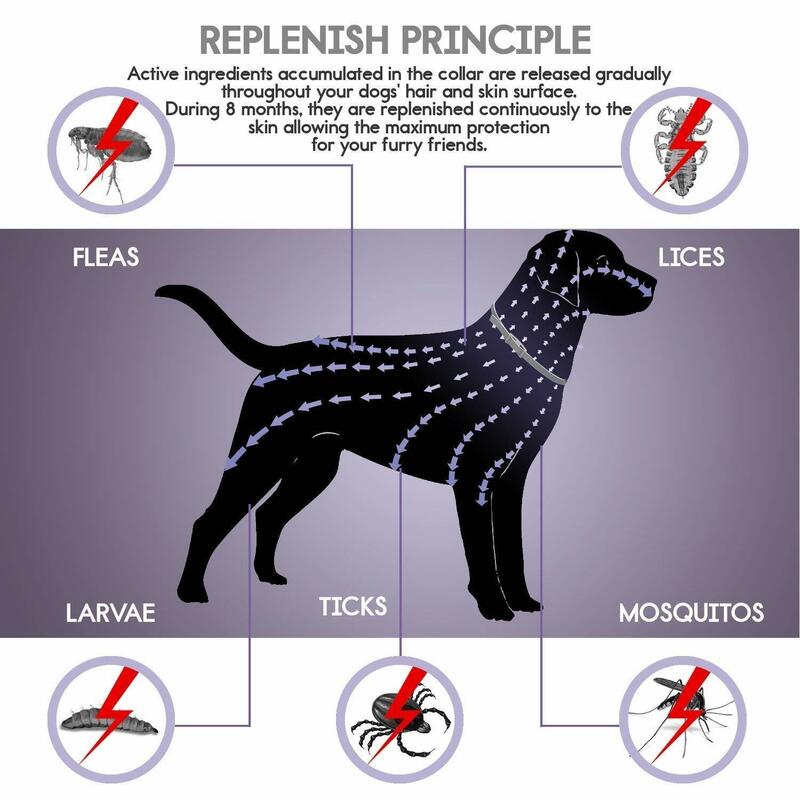 The natural ingredients repel and kill fleas and ticks for complete protection from parasite-induced diseases. While talking about our four-legged friends, the word “ safety” comes first. Veterinary surgeons prescribe Seresto Dog collars due to the safety release mechanism or Sustained Release Technology. These are non-greasy and easy to apply on the furry pals. Seresto Dog Collars controls bush ticks, brown dog ticks, and paralysis ticks for 4 months at a stretch. 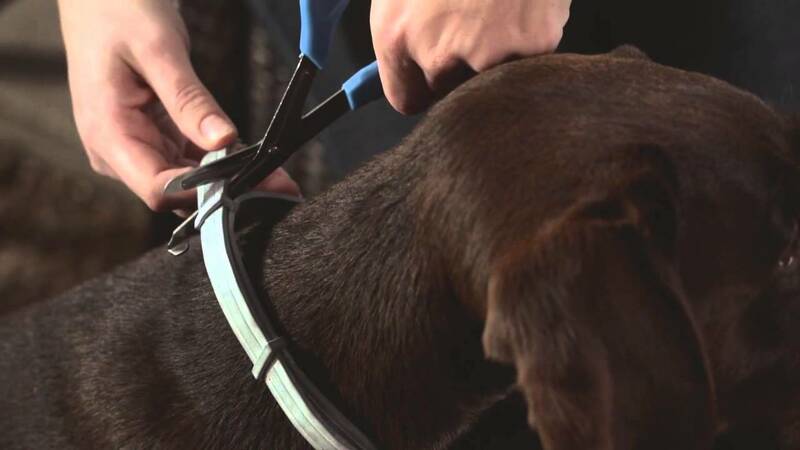 The collar prevents fleas from returning on the dog’s body up to 8 months. It also kills the existing lice. The odorless collars control flea allergy dermatitis. Besides, Seresto dog collar’s waterproof nature is famous due to the innovative polymer matrix that stores the active ingredients effectively within the collar. Again, you can get the best price for Seresto Dog Collar online. Just keep your eyes on the occasional options for cheap Seresto dog collars. Few reports have been gathered about Seresto collar making the dog sick, especially those dogs who are extremely sensitive to active chemicals like Flumethrin and Imidacloprid. Seresto collar side effects involve skin irritation leading to severe vexation, wet secretion, tremendous hair loss, red and itchy skin, swelling, intense scratching, nausea, vomiting, convulsions, abnormal weakness and unsteadiness in walking, red eyes, allergic reactions, lethargy, ingestion issues, etc. You must keep a check on your dog wearing Seresto dog Collar for the first few days of application. You can forget the monthly worries of freeing your beautiful dog from fleas and ticks. 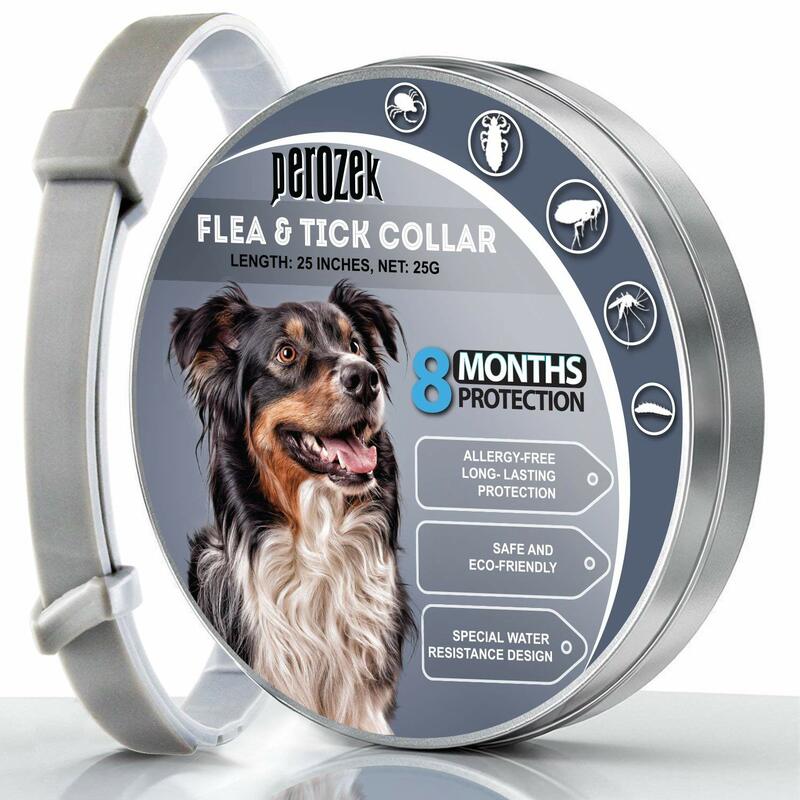 Flea tick seresto dogs collar protects the dogs against dangerous pests for up to 8 consecutive months. 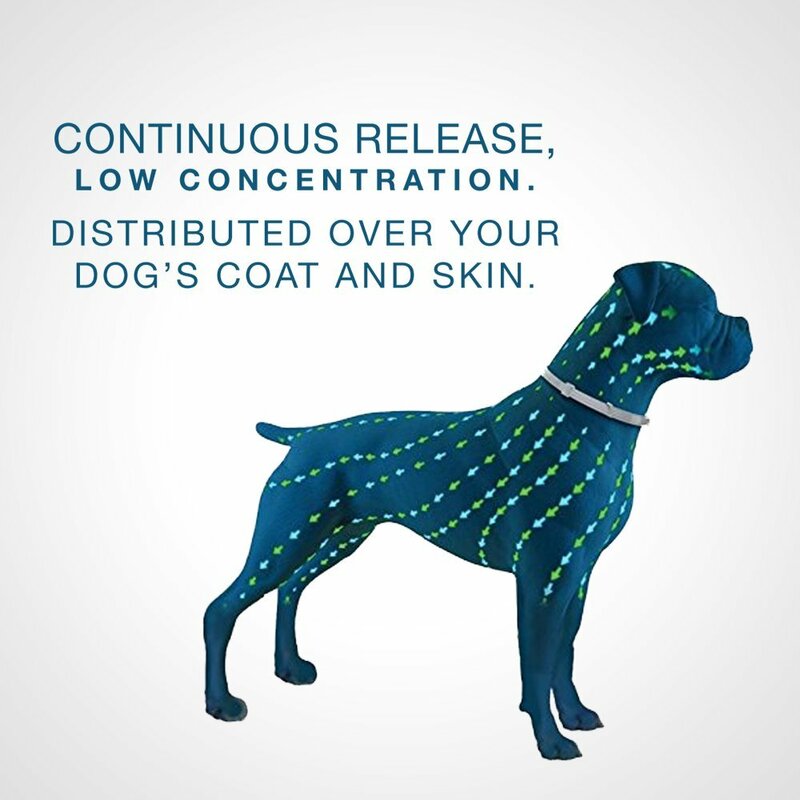 These collars deliver low concentration and continuous release distributed over the entire dog’s coat and skin. The collar kills the parasites through contact. These dog collars are engineered to protect the dogs from Sarcoptic Mange, Flea Larvae, chewing lice, Mosquitoes, Fleas, and Ticks for 8 months after application. It claims to kill around 95% of ticks and fleas in a day. It contains 100% natural essential oil to ensure allergy free protection. The waterproof collar can fit dogs of any size. Suitable for all size dogs, these 100% organic collars with approximately 65% natural oils, 35% plastic, and 0% chemicals are safe to apply. The waterproof and rechargeable bark collar has a smart detection unit. The eco-friendly collar contains Dual Stop Anti Barking Modes including beep, shock, and vibration. 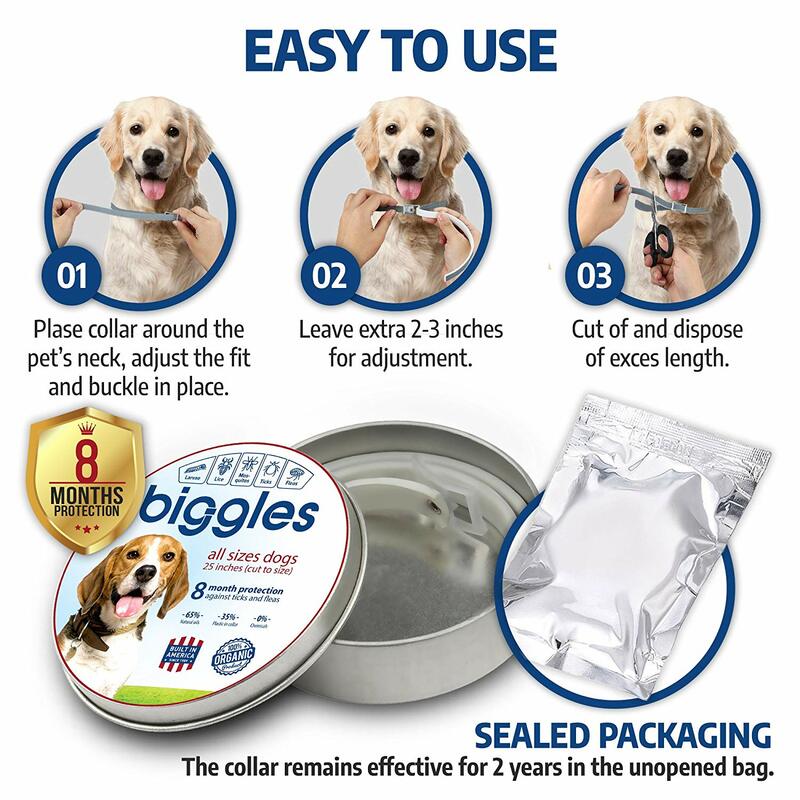 You can cut the 25 inches collar adjusting to your dog’s neck size for the best fit. Germany made non-greasy, odorless, non-toxic and hypoallergenic collar is water resistant and adjustable. 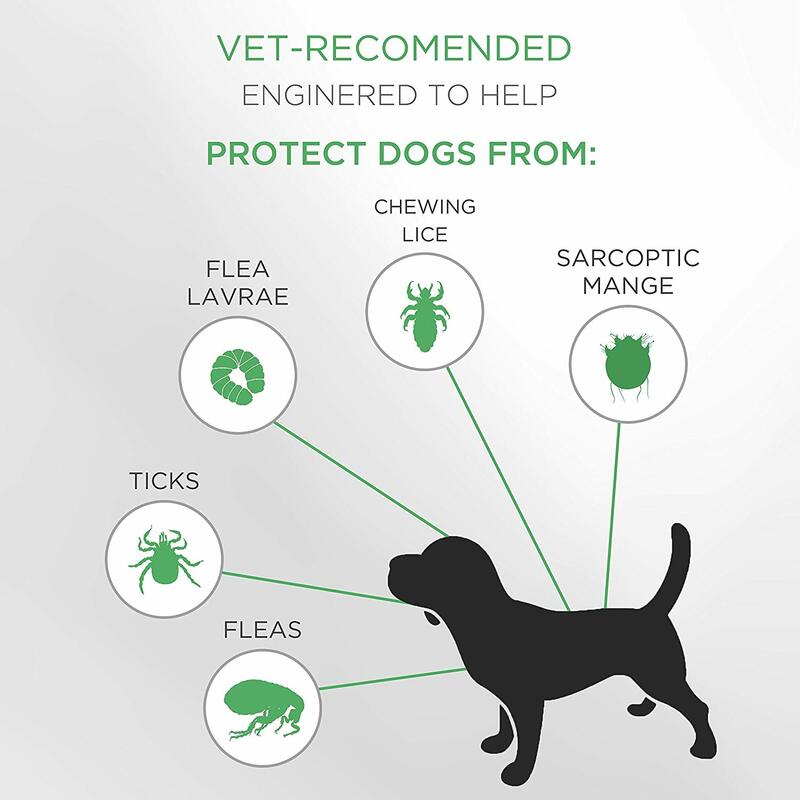 The all natural plant extracts and dog-friendly ingredients effectively protects against the painful fleas, ticks, and other pests regularly up to 8 months. You can also get a flea removal kit without spending extra money. Beware as the expiration day may alter the product’s potency. 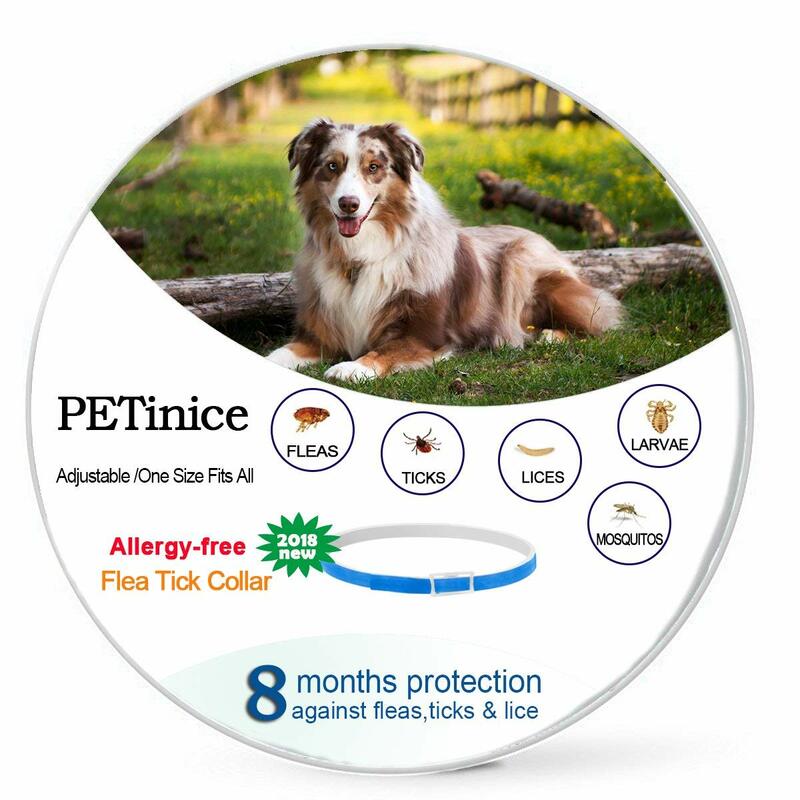 Regirock flea collar is an excellent choice for your furry beauty if he is allergic to chemicals. 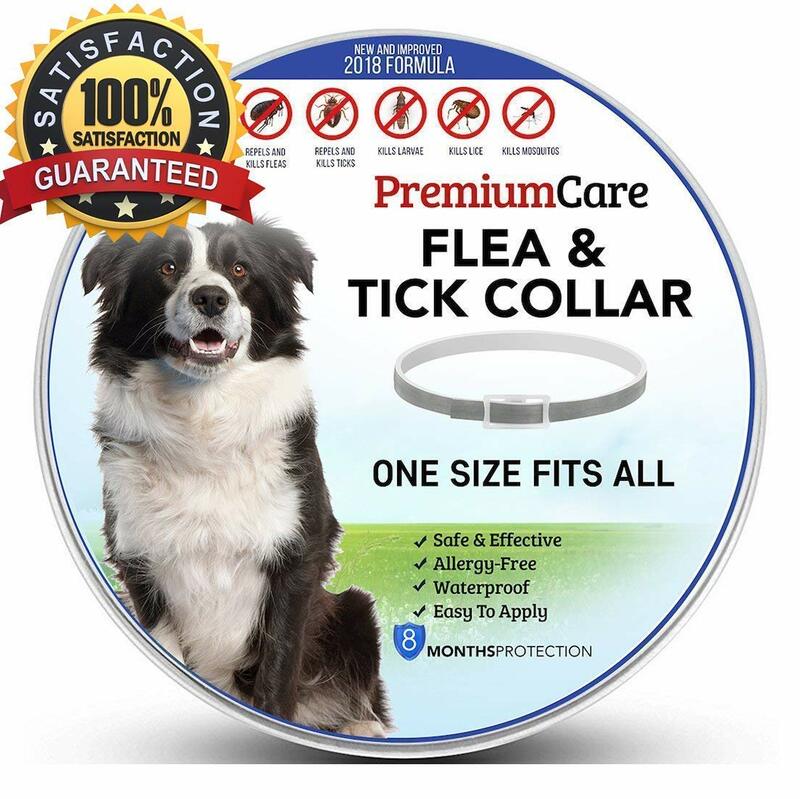 One of the safe formula to eliminate ticks, fleas, mosquitoes, and larvae; the 25-inch adjustable dog collar can work up to 8 months without any obstacle. The 2018’s new allergy free version is fully water resistant. Don’t buckle up the collar too tight. For small dogs, cut off the excess. Leave 2-3 inches room for a comfortable fit. Consult a veterinarian if your dog is sick, pregnant, elderly or have nibbled the collar. It is pocket-friendly. The upgraded formula with extracts of essential oil has the capability of deep absorption to the dog’s skin. Then, the ingredients effectively break the pests’ life cycle causing no harm to the pooch. The 100% natural, non-toxic elements provide zero side effects to both humans and dogs. The 25 inches collar can be fitted to both large and small dogs. The eco-friendly non-greasy collar is waterproof and has no foul smell. You will get guaranteed 8 months of protection delivered by a single collar. The right choice for your loyal friend:- affordable, effective, smart-look, durable, safe for both humans and dogs, waterproof, non-allergic, non-toxic, and non-greasy. The 25 inches collar is super comfortable as you can adjust the circumference according to the dog’s neck. Also, you will be awarded a flea removal set that contains 1 flea comb and tick remover of 3 sizes free of cost. If you want to get multiple amazing and useful things in a cost-effective amount, go for Regirock flea collar. If you have a cute little puppy in your home or a dog that is small in size, look no further beyond Seresto Small Dog Collar. Especially recommended for puppies of 7 weeks of age and older weighing around 18 lbs, this odorless collar contains 3 visibility reflectors. Seresto can kill and fight off the nasty and deadly fleas, ticks, flea larvae, sarcoptic mange, chewing lice, and other bugs. You will get guaranteed 8 months protection rendered by the hassle-free collar. It is quite economical as you can avail the superior quality Vet approved Seresto Dog collar at the lowest price. Don’t miss the chance. Give your canine companion the healthy and happiest pest-free life.